As an Exeter postgrad in 1979, I was the first music postgrad to involve the computer science dept in doing exactly what Bronson did, only with plainsong comparisons. I had never heard of Bronson at the time, and I had no idea at all that he had done something similar before I was even born! In the 1940s Bertrand Harris Bronson became one of the first scholars to use computers for musicological work. 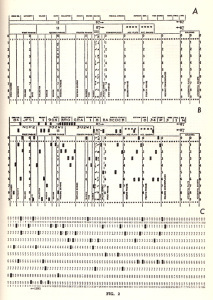 For one of his projects he encoded melodic characteristics of hundreds of tunes collected for the traditional ballad Barbara Allen on punch cards, so a computer could ferret out similarities. His project resulted in four groups of tunes, members of which came from both sides of the Atlantic with varying frequency. This according to “All this for a song?” an essay by Bronson reprinted in his collection The ballad as song (Berkeley: University of California Press, 1969, pp. 224–242). Above, an illustration from the article (click to enlarge); below, the classic recording of the song by Jean Ritchie, a singer Bronson deeply admired. This is how to celebrate National Music Libraries Day!! 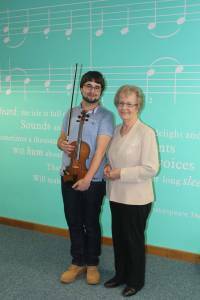 Last Saturday 7th February 2015 saw Somerset Performing Arts Library celebrate National Music Libraries Day. With a full day’s programme it was our best yet. Julie Dunn leading a “Sing for fun” workshop. We started the day with our ever popular “Sing for fun” workshop, run by local jazz singer/pianist/composer/teacher Julie Dunn (www.juliedunn.co.uk). 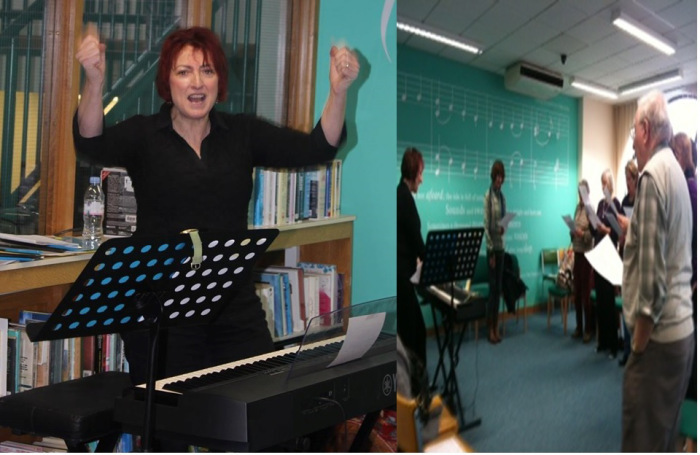 The library rang to a great sound as they learnt the art of choral singing with a selection of popular and jazz songs. The Puddletown duo – Jenny Hansford and Chris Hutchings. Chris Hutchings with a quick change of instrument. Up next were the Puddletown Duo with a recital of Baroque and traditional pieces. 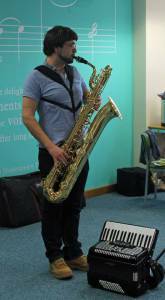 The space was packed with a variety of friends, family, colleagues and enthusiastic library users to watch Jenny Hansford on keyboard and our own staff member the multi-talented Chris Hutchings on violin, baritone saxophone and accordion, with the odd keyboard solo thrown in. 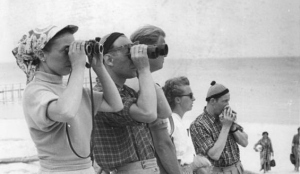 What comes after the PhD? There’s plenty of sound advice here. I didn’t write this – it first appeared on PhD Life blog, but I thought it was well worth sharing. However, it appears I am one of the lucky few; I’ve been in an academic-related role for 26 years, and am currently combining it with a part-time postdoctoral position. As to October 2015? Watch this space! When you hand in your PhD, what comes next? Here Georgina Collins provides advice for the researchers who have just completed a PhD and would like to continue in academia but are unsure which path to take. A great example of a librarian becoming more engaged with the subject, the staff and students that they’re supporting. submission. 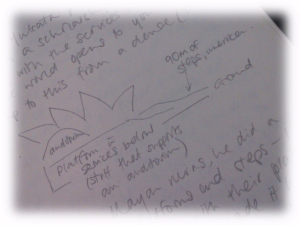 It quickly became apparent that some underpinning knowledge would help my marking of students’ work. Students’ claims that source material analysed “an iconic building” would be easier to assess if I knew something about the architect.